Gull Lake View East is the second of the five courses at the club. 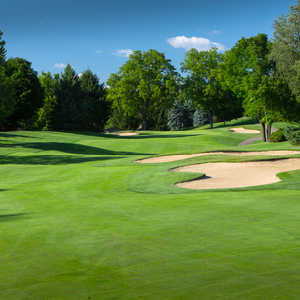 Opened in 1973, the golf course has a classic design that has a longstanding reputation of being one of Michigan's finest layouts. Charles Scott, who designed several courses in the area including most of Gull Lake's, designed the course. He carefully incorporated the natural terrain, utilizing the elevation changes and natural water features. 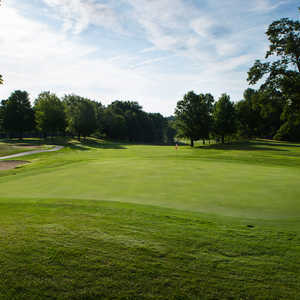 The 9-hole Maple Hills Golf Club in Augusta, MI is a public golf course that opened in 1963. Designed by Bob Beard, Maple Hills Golf Club measures 2972 yards from the longest tees and has a slope rating of 113 and a 33. Situated in the beautiful lake region of southwest Michigan, Gull Lake View Golf Club offers five scenic championship courses. The quality and variety offered by the courses and their convenient location less than three hours from Detroit, Toledo, and Chicago, have made Gull Lake a favorite destination for golfers from all over the Midwest, Great Lakes, and even parts of Canada. Gull Lake View Golf Club & Resort is the oldest and largest golf resort in southwest Michigan. It offers five championship courses that draw visitors from throughout the Midwest, Great Lakes, and Canada. The Stonehedge South Course is the third out of the five golf courses. Charles Scott, a well known name in the area, designed the course in 1988. Situated in southwest Michigan's beautiful lake region, Gull Lake View Golf Club offers five championship courses that are easily accessible from Detroit, Toledo, Chicago, Grand Rapids, and Lansing. Gull Lake View West is the club's original course. The club is the oldest and largest in southwest Michigan and it all started with the West Course. Opened in 1963, the golf course has a traditional layout that offers a challenging but fair test.